Welcome to 2019, food lovers! 2018 was a mixed bag of goodies, and we’re certain that this year will continue surprising us with exciting openings, events and eats. In what can only be described as a feverish moment of weakness, we made the resolution to eat less; but that was out the window the second it became time for breakfast. Come with us as we uncover the latest foodie news of 2019! Leaf meat behind and embrace a plant-based burger experience at Fish Lane’s latest eatery, Grassfed! With vegan burgers and ice cream to boot, you’ll be feasting on vegan beef, chick’en schnitzel, and ‘pork’ burgers all day long. Craving something sweeter? Their ice cream and shakes are sure to satisfy. We’ve been eagerly awaiting the launch of Burleigh’s hot new venue, and it’s finally open. Burleigh Pavilion is the stunning oceanfront venue of your dreams, with two areas offering casual fresh-off-the-beach eats at The Terrace, or fine dining from The Tropic. If fish and chips are your calling, you’d batter be ready for this news; the team behind Martha Street Kitchen are bringing a casual fish and chip eatery to the area! With everything made from scratch, Perch’d is sure to become a local fave. 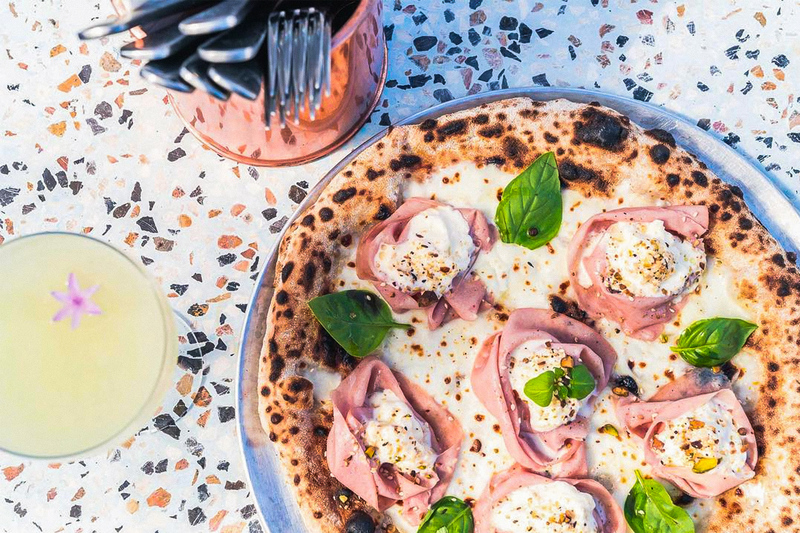 Fortitude Valley’s bustling laneways have become somewhat of an obsession of ours, and now Bakery Lane’s latest venue is set to open late February. From the restaurateurs behind Sydney’s Sepia and Sixpenny comes Joy Restaurant, and it’s staying true to its name. This petite restaurant will feature Japanese and Scandinavian fusion dishes made with the freshest local ingredients, serving just ten diners at a time! After ten years of restaurant reviews, popular site Dimmi has started a new chapter, rebranding as TheFork AU! To celebrate, they’ve teamed up with several restaurants to offer 50% off until February, so save more this month and check out the offers here. Contrary to its name, Burnett Lane’s new bar is sure to be a bundle of fun. Death & Taxes is a London and Paris-inspired bar, set to open on March 1, brought to you by Martin Lange of Cobbler, Finney Isles, and Savile Row. As well as all your classic faves, expect 30 flavour-centric cocktails and a selection of wines. Howard Smith Wharves’ wine bar Arc is now open, showcasing an extensive wine collection and fresh dining by acclaimed head chef Alanna Sapwell of Sydney’s Saint Peter. We can’t wait to see what 2019 has in store for us!